Joyce Brake recently returned to the legislative advocacy arena as Associate Director of State Relations at Oregon Health & Science University. In this role, she lobbies Salem on OHSU’s public health, human services, higher education, and research issues. Prior to her family’s Portland move, Joyce was the founding attorney of Columbia Counsel PLLC in White Salmon, Washington, where she took on rural legal services gaps through child advocacy casework and small business government relations. Joyce’s background includes policy counsel at the Washington State Senate and Moore & Van Allen PLLC, and she is a former German Fulbright Scholar and Bundestag parliamentary fellow. 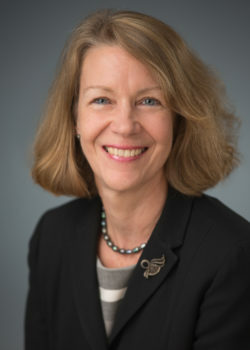 OWLS member Katharine von Ter Stegge was recently appointed by Governor Brown to the Multnomah County Circuit Court. The Multnomah County Circuit Court presently has three vacancies, created by the retirements of Judge Henry Kantor and Judge Julie E. Franz, and by the elevation of Judge Bronson James to the Oregon Court of Appeals. To these vacant positions Governor Brown appoints Katharine von Ter Stegge (Position 10), Christopher A. Ramras (Position 15), and Benjamin N. Souede (Position 30). Katharine von Ter Stegge is an attorney in the Multnomah County Attorney’s Office, where she has worked since 2010. 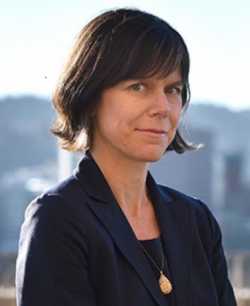 She previously worked as a trial attorney at the Oregon Department of Justice and as a prosecutor in the Multnomah County District Attorney’s Office. She began her career as a law clerk for a federal judge in West Virginia. 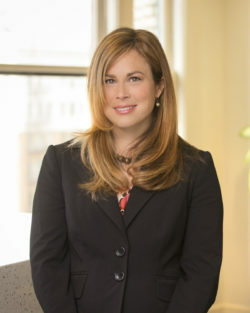 She is a graduate of the University of Virginia and the University of Virginia School of Law. She is a member of the Oregon State Bar’s Board of Governors. An active member of OWLS, von Ter Stegge is also president of Queen’s Bench, our Portland-area chapter, as well as a citizen-member of the Independent Police Review Board for the City of Portland and is a volunteer lawyer for the Oregon Crime Victim Law Center. Attorney Edie Rogoway was named the recipient of the 2017 Oregon Criminal Defense Lawyers Association’s (OCDLA) President’s award, an honor to distinguish individuals who have shown exemplary service to the Association. Nagati joined Black Helterline as an associate practicing corporate and commercial transactional law. 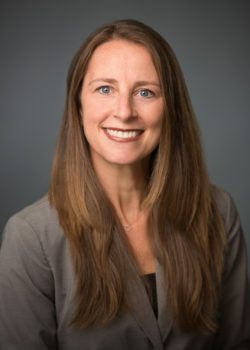 PORTLAND, Ore – On June 19, Portland General Electric (NYSE: POR) announced the appointment of Lisa Kaner as PGE’s new general counsel and corporate compliance officer. Kaner will replace Jay Dudley, PGE’s current general counsel and corporate compliance officer, who will retire at the end of June after nearly 30 years with PGE. 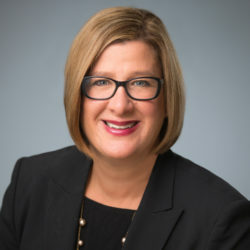 Kaner will join PGE on Thursday, June 29, after more than 28 years as an attorney with the Portland business litigation firm Markowitz Herbold PC where she oversaw some of the firm’s most complex and legally demanding cases. While there, she also advised and represented PGE on multiple occasions, gaining a strong knowledge of the organization. 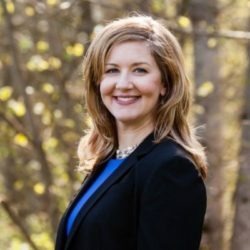 (Salem, OR) — On June 20, Governor Kate Brown announced she will appoint Daina A. Vitolins as a judge on Oregon’s 22nd Judicial District Circuit Court. The 22nd Judicial District encompasses Crook and Jefferson counties. Ms. Vitolins will fill the vacancy created by the retirement of Judge Gary Lee Williams. Ms. Vitolins’ appointment will be effective immediately upon Judge Williams’ retirement, on July 1, 2017. Ms. Vitolins is currently the District Attorney of Crook County, a position she has held since 2008. She is the immediate past president of the Oregon District Attorney’s Association. She worked as a deputy district attorney from 2006 to 2008. 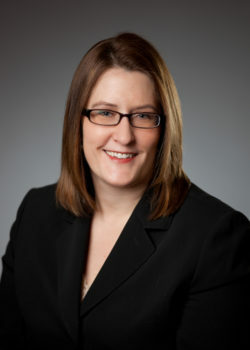 Before moving to Central Oregon in 2006, Ms. Vitolins worked for several years at the Oregon Department of Justice in Salem, as a deputy district attorney in Polk County, and, early in her career, as a staff attorney at Marion-Polk Legal Aid Service. She attended law school at Willamette University and earned her bachelor’s degree at the College of Idaho.